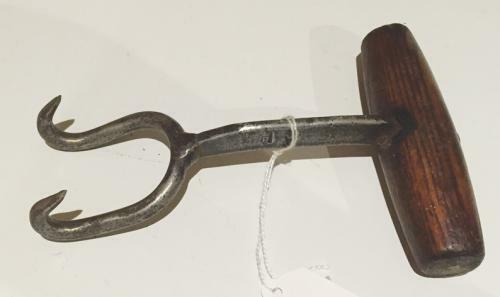 Quality Antique Sack Hook circa 1900. Initialled AH on steel and on oak handle. Well made.